A House panel on Wednesday approved legislation that would freeze congressional pay for the sixth consecutive year. 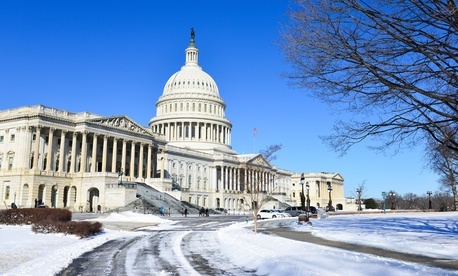 The Appropriations Committee on voice vote advanced its fiscal 2015 legislative branch spending bill, which includes a provision preventing lawmakers from receiving a pay increase next year. Rank-and-file lawmakers currently earn $174,000 a year, while those in leadership positions receive a bigger paycheck: the House speaker takes home a $223,500 annual salary, and the majority and minority leaders in both chambers receive $193,400 a year. Congress allowed federal employees at the end of 2013 to receive a 1 percent pay raise this year, which ended the three-year across-the-board pay freeze for civilian workers that took effect in 2011. Given the institution’s low public approval rating over the last few years, any attempt by lawmakers to raise their own pay likely would create even more backlash against them. At least one lawmaker, however, believed it was time for a raise. Retiring Rep. Jim Moran, D-Va., who offered an unsuccessful amendment to the spending bill to give members of Congress a per diem for living expenses, said recently that lawmakers do not make enough money. The $3.3 billion spending bill, which funds House and joint operations with the Senate, is the same amount provided for fiscal 2014 and is $122.5 million below President Obama’s budget request. The legislation “adheres to the same fiscal goals we have set for each and every program and agency across the federal government -- and that means tightening our belts and making do with what we have,” said Appropriations Chairman Harold Rogers, R-Ky.